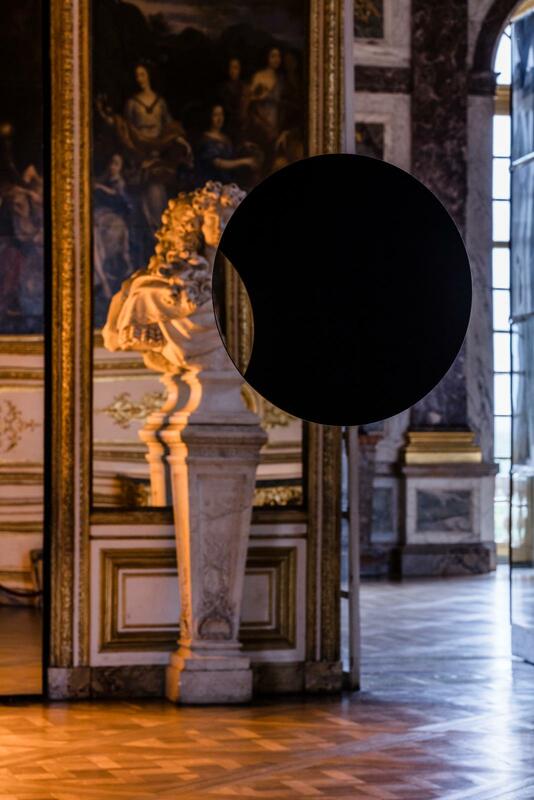 A circular hole cut into the surface of a mirror reveals a dark black space inside the mirror, within which a circular reflection appears. This second reflection is recessed behind the opening, and presents the viewer and her surroundings at a smaller scale than the reflection on the outer surface. This set-up invites the viewer to enjoy the play of continuities and discontinuities between the two reflections, as objects leap back and forth between the two surfaces in response to her movements before the mirror. 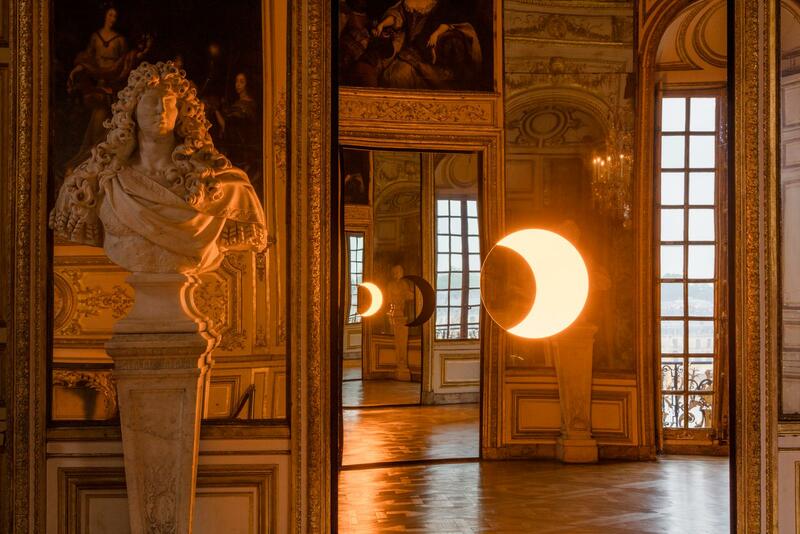 At the Palace of Versailles, Deep mirror (black) is installed facing Deep mirror (yellow). Together, the two works generate an infinite regress of offset reflections.